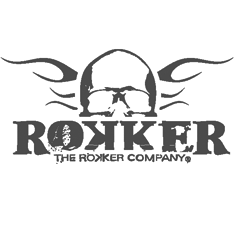 Swiss brand Rokker is known for its premium quality motorcycle gear. They only use the finest of materials for their products and that's no different for this overshirt: the waxed cotton is sourced from the British Millerain Company, a titan in the motorcycle industry with over a century's worth of experience in outerwear textiles. This rugged yet flexible and comfortable overshirt looks the part on any style of bike and forms the ideal garment for short bursts around town, especially when combined with an armoured shirt.